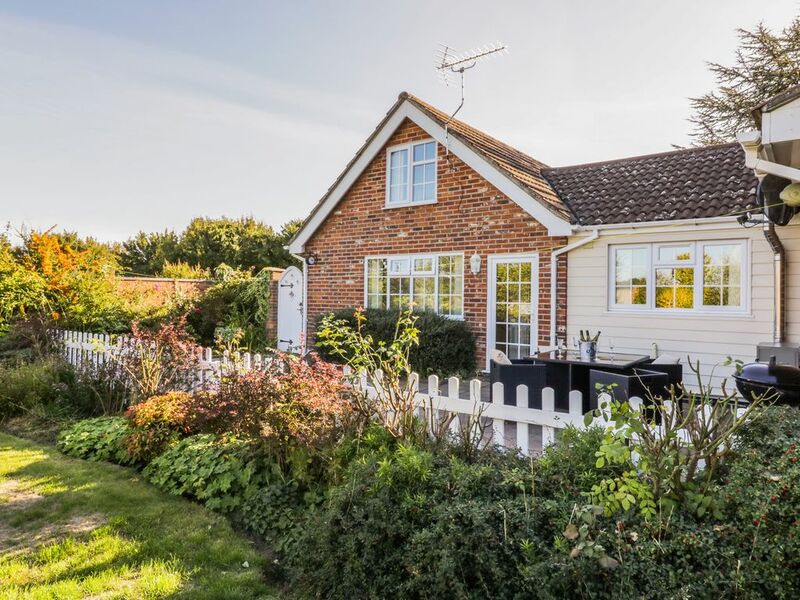 Solitude is a lovely cottage near the village of Elmstead Market, just two miles from Great Bromley. The cottage sleeps four people and has one king-size double bedroom, one twin room and a family shower room. Also in the cottage are a fitted kitchen with dining area and a sitting room. Outside is off road parking for two cars and a patio with furniture. Situated in the Tendring district of Essex, Solitude is a lovely family cottage all year round. Amenities: Oil central heating. Electric oven and hob, microwave, fridge, freezer on request, washing machine, TVs with Freeview, DVD, radio, iPod dock, WiFi, selection of books, games and DVDs. Fuel and power inc. in rent. Bed linen and towels inc. in rent. Cot and highchair available. Off road parking for 2 cars. Bike storage. Private patio with furniture and BBQ. Sorry, no pets and no smoking. Shop 2 miles, pub 10 mins walk. Town: Elmstead Market is a village located in the Tendring district of Essex, just 7 miles east of Colchester and with excellent road links to Clacton, Frinton and Harwich. The village is well served with shops, a pub and a petrol station. Mostly ground floor. Two bedrooms: 1 x double with en-suite basin and WC, 1 x first floor twin. Shower room with shower, basin and WC. Kitchen with dining area. Sitting room. Oil central heating. Electric oven and hob, microwave, fridge, freezer on request, washing machine, TVs with Freeview, DVD, radio, iPod dock, WiFi, selection of books, games and DVDs. Fuel and power inc. in rent. Bed linen and towels inc. in rent. Cot and highchair available. Off road parking for 2 cars. Bike storage. Private patio with furniture and BBQ. Sorry, no pets and no smoking. Shop 2 miles, pub 10 mins walk.